D.C. United says it has reached an agreement with the two supporters’ groups that held a protest during the club’s inaugural match at Audi Field over not being included in ticket-buying arrangements prior to the stadium’s opening. The club said in a press release Friday that LaBarra Brava and District Ultras would rejoin a third group, the Screaming Eagles, for the club’s home match Wednesday, July 25, vs. the New York Red Bulls. A fourth group, La Norte, was not mentioned. 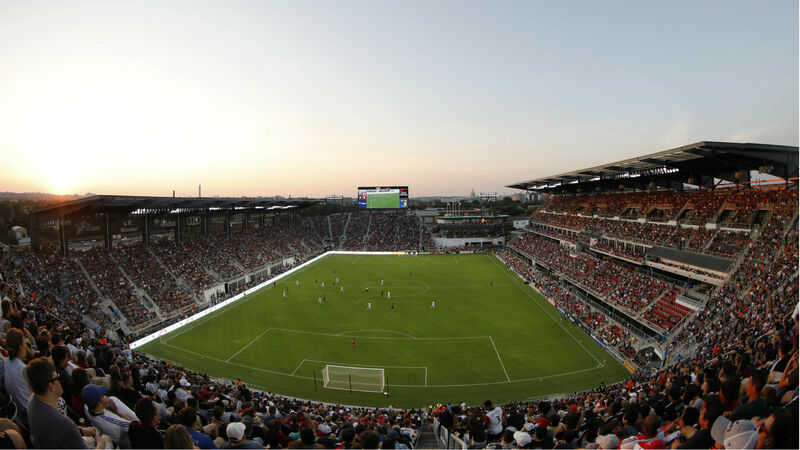 D.C. United entered into an exclusive ticketing partnership with the Screaming Eagles in February. The group was given opportunities to purchase tickets for home matches in bulk for below market value, resell the tickets at a markup to members, and use the profits to fund group activities such as tailgates and production of banners. D.C. United’s goal was to have the Eagles “take the lead role to manage all aspects of the supporter culture,” according to a club press release. La Barra Brava and District Ultras were given ticket-buying opportunities when D.C. United played at RFK Stadium. Those two groups called for a restoration of access as they protested outside 20,000-seat Audi Field during United’s match July 14 against the Vancouver Whitecaps. The fans who were in the stadium during the match were mostly there for Wayne Rooney’s debut, and very few of them participated in songs and chants that didn’t focus on the new English midfielder. District Ultras, meanwhile, announced nothing had been agreed to for Wednesday’s match but were “encouraged” by their negotiations with the club, which are ongoing. We’ve made great strides with the team, but nothing has been finalized for Wednesday. We look forward to working with the team over the next week or so to make this situation awesome for everyone. With a new stadium open and an international superstar joining the roster, D.C. United should be excited about its future. That future will look even brighter when all of its supporters groups are inside the stadium for home games. Who sings CM Punk’s theme song, and is it the same one he had in WWE?